Looking for a romantic getaway or some peaceful solitude? 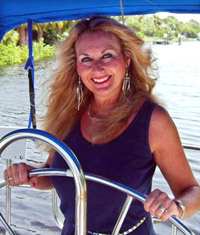 There is an island called Cabbage Key, just southwest of Punta Gorda, Florida that can only be reached by boat! 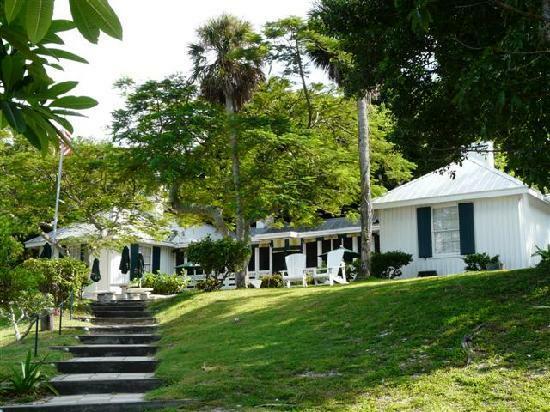 This beautiful island has 100 acres of tropical vegetation that surrounds the historic restaurant, the Inn & the Cottages. Getting there is half the fun! If you are coming by way of your own vessel, they are located just off ICW Marker 60 in the Pine Island Sound. If you DON’T have your own boat, there are several party boats & water taxis that leave from various ports (or you could rent a boat for the day!) 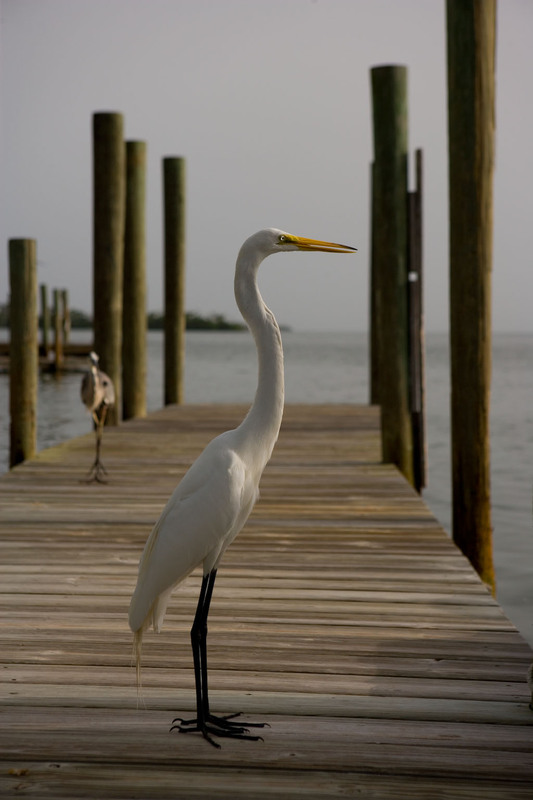 From Punta Gorda, you would depart from Fisherman’s Village. In the early 30’s, the family of playwright and novelist Mary Roberts Rinehart, developed the island & those buildings are still in use today. The open-air restaurant is in the old house. It sits on top of a 38 foot Indian Mound. 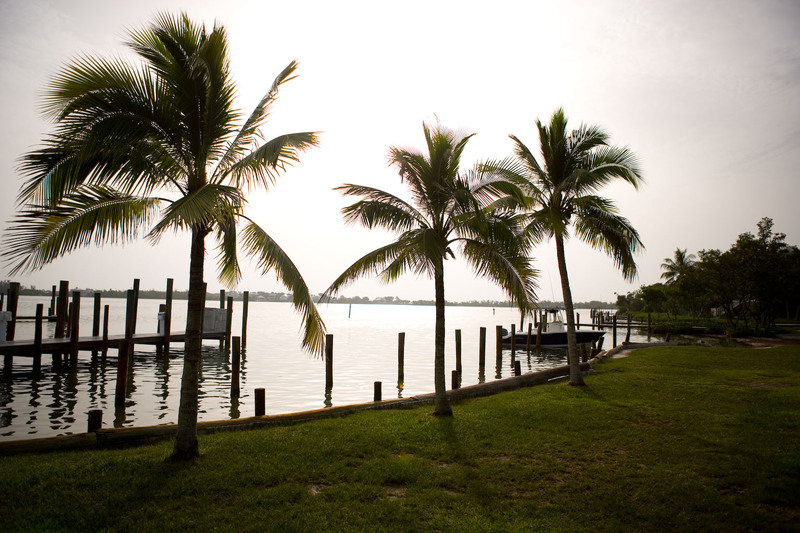 The view from the front porch offers a panoramic view of Pine Island Sound. The restaurant/bar serves breakfast, lunch & dinner 365 days a year. It is a busy place, as boaters from various ports stop in to eat & enjoy this unique place. It has been a tradition over the years to put your name on a dollar bill and tape it to the wall… there are literally thousands of one dollar bills hanging on these old walls! 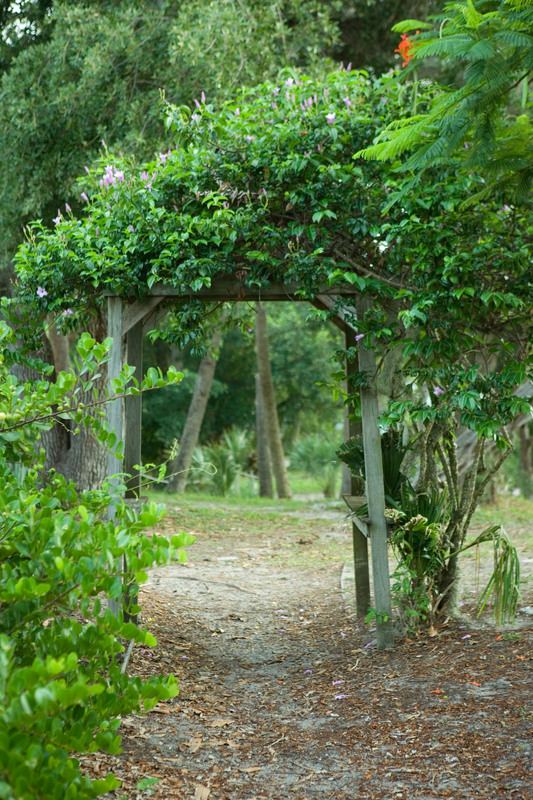 To enjoy the peacefulness of the island, take a walk on some of the winding nature trails. On the trail, you will enjoy a slice of “Old Florida”, with lots of wildlife, picturesque views, as well as gorgeous flora & fauna. 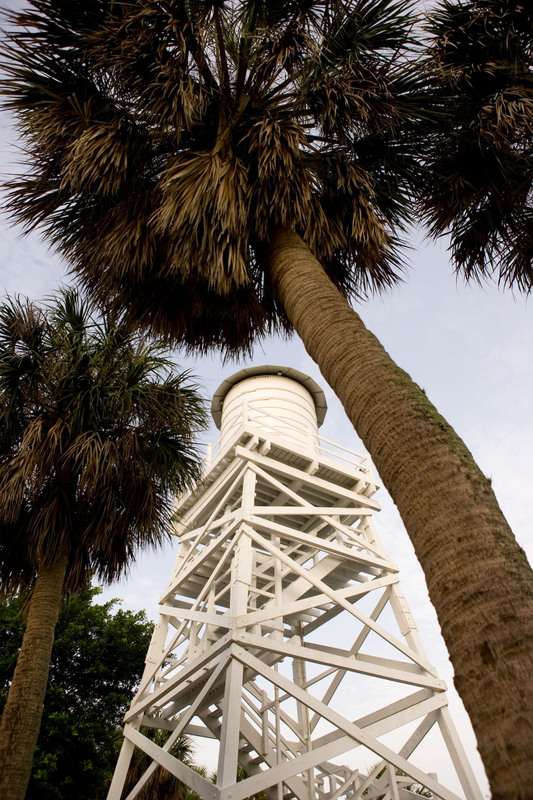 They even allow you to climb the water tower if you want to… try it at sunset, to see if you can catch a glimpse of the “green flash” over the Gulf of Mexico. For those who wish to spend a night or 2, there are 9 cottages & the Historic Inn. Each of the rooms in the Inn offer a different theme & are decorated beautifully. The cottages range from a small place on the water for 2, to a fabulous 3 story home that sleeps 7 that sits on the entrance to the channel coming in. Whether you go for a few hours or a week, it is a great escape. If you haven’t been there, maybe you should hop a boat to see what you have been missing.